Posted on June 24, 2011 by Gina M. Crome, M.S., M.P.H., R.D. The great snack debate is one that has embattled many of so-called “dieters” for decades. It’s roots were planted at a time when doctors offered advice to their patients who wanted to shed a few pounds that sounded something like this, “If you want to lose weight, you need to cut out all your snacks in-between meals.” This may have worked well at a time where most people sat down to three regular meals each day, possibly around a family table (think Ozzie and Harriet) to consume their food. However, by today’s standard, it’s a rarity when a family has a single meal together, let alone three! Family members always seem to be going in different directions with their schedules, and most tend to grab food on the run. And often times what we grab isn’t what we would consider a meal, but rather a snack to hold us over until our next meal. New research released last week from the 2011 Institute of Food Technologists Annual Meeting indicated that what we consider as snacks (including what we drink between meals), comprises more than 25 percent of our total calorie intake every day. On average, this equals about 580 extra and usually unaccounted for calories each day. Based on metabolic equations- 3,500 extra calories a week = 1 pound of weight gain/week or 52 pounds of potential weight gain each year! Now you’re convinced that the extra few minutes on the treadmill everyday will take care of those pesky calories. The average 150 pound person would have to be on that treadmill 1 full hour extra each day to burn off approximately 450 calories-not even reaching the target of 500. Most already have difficulties finding a few minutes to sit down to a healthy meal- who realistically will make the commitment to an extra hour or more of exercise? Asking people to stop eating snacks and begin sitting down to 3 meals a day at home is unrealistic. The issue isn’t whether or not to partake in snacking, but rather look at making some smart choices that will work to stretch your calorie budget over the course of the day. Moral of the story…choose wisely. If you are among the many that find yourself eating on the run, opt for getting the most nutritional bang for your buck. Choose grilled over fried, fresh over processed, and if weight control is one of your goals-make every effort to include low calorie/high fiber options like fruits, veggies, and whole grain products like oatmeal, popcorn, or whole wheat crackers. The extra fiber will help keep you fuller longer thus making it less likely you’ll be tempted to grab another snack before your next meal. Plus, it may also help prevent you from becoming overly hungry which can prove disastrous on a weight loss plan. Make every attempt to avoid drinking your calories. The calories we get from beverages can really pack a 1-2 punch. They not only add up and contribute to our overall intake each day, but sweet beverages can spike blood sugar levels and often leave us hungrier in the end as those levels quickly take a dive in an attempt to return to normal. Lastly and probably the most important, portion control. Our best defense to guard against unwanted weight gain is to keep our portions in check. A couple weeks ago, I covered information about the new USDA MyPlate educational materials. One of the major objectives of this program is to help people understand appropriate portion sizes. Because at the end of the day, all calories not used by the body regardless of whether they come from carbohydrates, protein or fat, will result in potential weight gain. Posted on June 18, 2011 by Gina M. Crome, M.S., M.P.H., R.D. Maintaining motivation to exercise is one of those topics that so many have written on because it’s a problem that affects everyone. Motivation is not like a switch that we can readily be turned off and on. Rather I see it more like a thermostat with degrees of motivation running along a constant slide. Once at a predetermined temperature, your internal call to action kicks in and you find yourself willing to get out there and exercise. When we are super motivated, we don’t dread the thought of exercise. We look at it as an opportunity to get healthier every day. On the other hand, when we lack motivation, exercise can be the chore that manages quite nicely to get put onto the back burner. It’s amazing how many things we’ll find to do to avoid exercise; clean the garage, wash the dog, organizing the junk drawer, pay bills, slop the hogs, etc. And those things we don’t find to do, we’ll just make them up. We can joke about this because we’ve all been there. The truth is motivation comes and goes. You may find yourself on a roll for a little while then slowly the temperature drops in your thermostat and your exercise bouts begin to get fewer and farther between. Here’s the key… recognition. Recognize when your motivation is beginning to wane and guess what- stick it out baby. 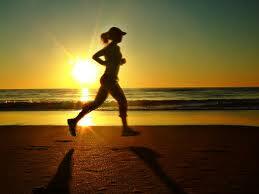 Continue your fitness routine any way you can because eventually what goes down must come up. I guarantee your motivation will pick back up eventually but those who let their exercise lapse turn into a collapse will not be around when the motivation thermostat starts to rise again. Likewise, those who stuck it out and just continued along business as usual will be that much further down the path towards their goals. It’s easy to say, just stick it out and I certainly understand firsthand how difficult it is to actually put that into practice. My motivation came and went a million times as I was losing my 172 pounds. When my motivation was hovering somewhere between the dumps and the abyss, I used a number of things to get it going again like trying a different exercise activity, downloading some new music, etc. I’ve even bought new workout outfits all in the name of motivation of course. Lastly, remember to cut yourself some slack. We are all a “work in progress” and far from perfect. If you don’t make it out there today, look at some of the motivation tactics and try again tomorrow. By only concentrating on the things that we are not doing right, chances are we’ll miss the things we are doing right. Posted on June 11, 2011 by Gina M. Crome, M.S., M.P.H., R.D. 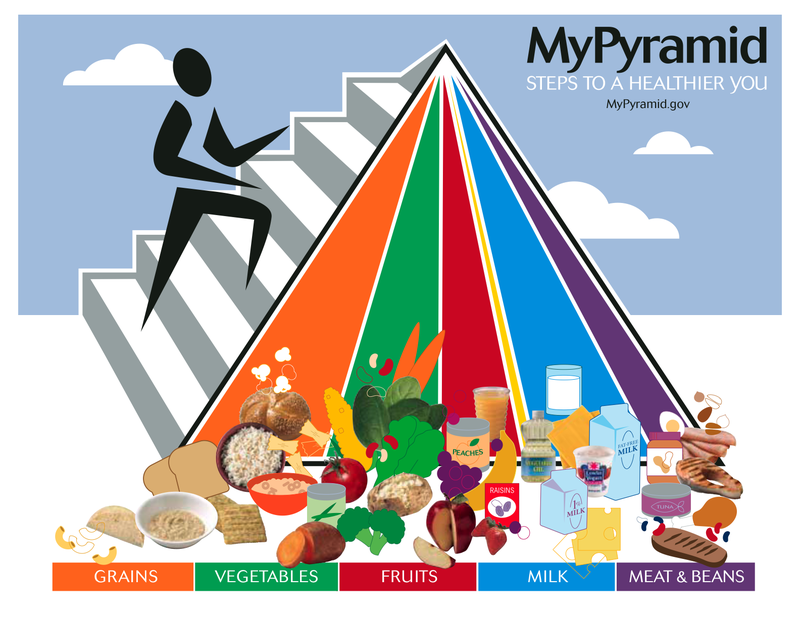 Over the last 20 years, the food pyramid has served as a major nutritional icon. On June 2, 2011, First Lady, Michelle Obama along with Agriculture Secretary Tom Vilsack unveiled in a press release the latest tool to aid in the battle of obesity, MyPlate (ChooseMyPlate.gov). 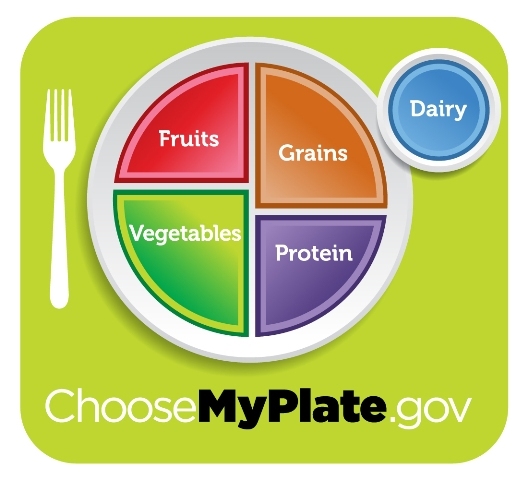 MyPlate, the new symbol of appropriately balanced meals, will replace the iconic Food Pyramid. The new graphics are designed to be consistent with the 2010 Dietary Guidelines for Americans released in January this year. • Aim for half your plate fruits and vegetables. • Switch to fat-free or low-fat (1%) dairy products. 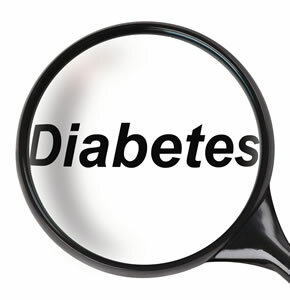 • Note the sodium (salt) in various foods like soup, bread, and frozen meals, and choose those with lower numbers. • Aim for drinking water as opposed to sugary beverages. The idea of using a plate to help educate individuals on appropriate portion sizes is not a new concept. The truth is that dietitians and nutritionists have been using education tools very similar to these new graphics for years with many of their clients. The reason being is that a plate is something that everyone can relate to as it’s considerably less abstract than the food pyramids of the past. It’s also quite adaptable so that no matter what kind of diet a person follows, the graphic can be utilized to illustrate portions in relation to the various food groups. A major downfall of this new graphic has to do with the fact that it lacks the incorporation of exercise represented in the former Food Pyramid icon. The figure climbing the side of the pyramid symbolized the need for physical activity as a part of a healthy lifestyle. Just as the new icon shows the importance of balance in your meals, we also need to balance a healthy lifestyle with the incorporation of physical activity. It’s my hope that as this new campaign rolls out over the next several months, the importance of physical activity for weight management, improved health and ultimately disease prevention will be emphasized either through the initiatives set forth in the First Lady’s Let’s Move campaign or through additional education tools that support the new MyPlate program.